This document walks you through the basic process of building a simple, Jetpack-based app. This example is based on a sample Kotlin app called ComponentsBasicSample. For guidance about how to create apps in general, see Build Your First App. To learn more about the classes that this document covers, see Android Architecture Components. 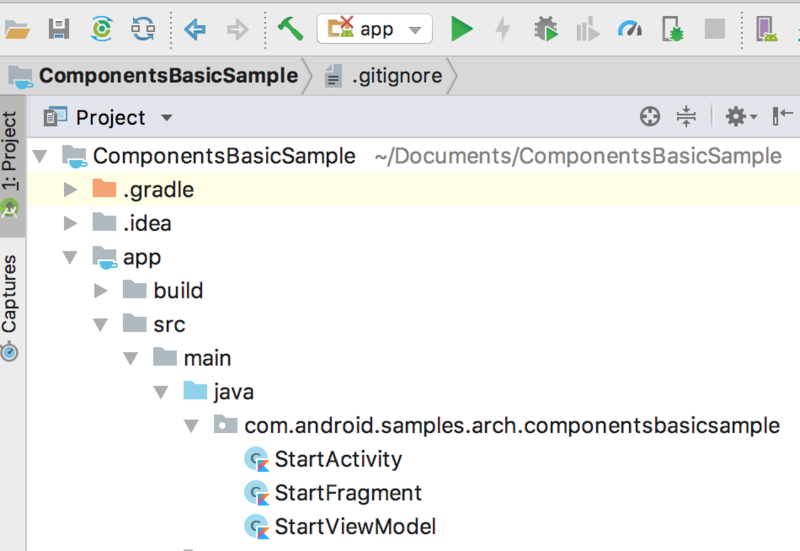 Launch Android Studio 3.2 or higher, and enter information in the Create Android Project and Target Android Devices as always. If you are writing your app in Kotlin, remember to check the Include Kotlin support box on the Create Android Project screen. After the Create Android Project screen, the Add an Activity to Mobile screen appears, offering you a variety of templates to use in starting your project. 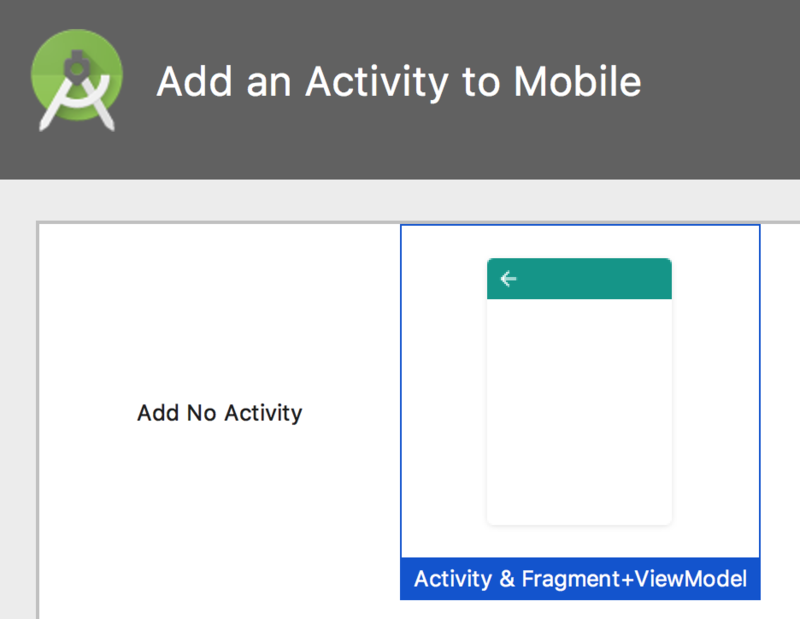 The Activity & Fragment + ViewModel template, shown in figure 1, is designed to make it easy to incorporate Jetpack into your app. Click that template, and then click Next. On the Configure Activity screen, enter names for the initial activity, fragment, and ViewModel object with which to start your project. Optionally, you can also enter a fragment package path. Then, click Finish. Opening the java folder in your project reveals, as shown in figure 3, that the project initially contains three classes: StartActivity, StartFragment, and StartViewModel. StartActivity is your app's entry point. It is the stub of an Activity to serve as the container for the fragments that appear in your app's initial screen. StartFragment is the stub of an initial Fragment for you to use in your app. StartViewModel is the stub of an initial ViewModel for you to use in your app. If your app requires local access to SQLite data, you might also add the Room persistence library. If your app needs to display large volumes of data on a single screen, you should consider using the Paging library. The Sunflower demo app uses many different Jetpack components to demonstrate Android development best practices.